What is #SheHacks all about? Find out here!! To bring women with startup ideas together with lady hackers and creatives over a weekend to build companies that make women's lives more awesome. Still Thinking About How You Can Get Involved? Click Here to Stay Updated! Are You a Designer, Developer, Engineer, or have a Knack for Business? Idea submissions for team leads are now closed. Please apply above for a chance to join an amazing team! SheHacksHTX is a weekend-long gathering of founders, software developers, designers, engineers, visionaries, data nerds, marketers, and anyone else interested in starting a company. We're not doing anything illegal, if that's what you're thinking. No! Hackathon projects need all kinds of people. We're looking for people in tech, engineers and people who have been in the field, educators, people in marketing, project managers, designers, and leaders. There are a million ways to be a part of something great. Yes! We'll provide breakfast, lunch, dinner, and snacks. How will I find a team? We will do the work to hook you up with a team that needs your skills. You are welcome to form your own team (or parts of a team) - but please make sure everyone submits their own application. What projects can I work on? Check out and contribute to our list of project ideas! 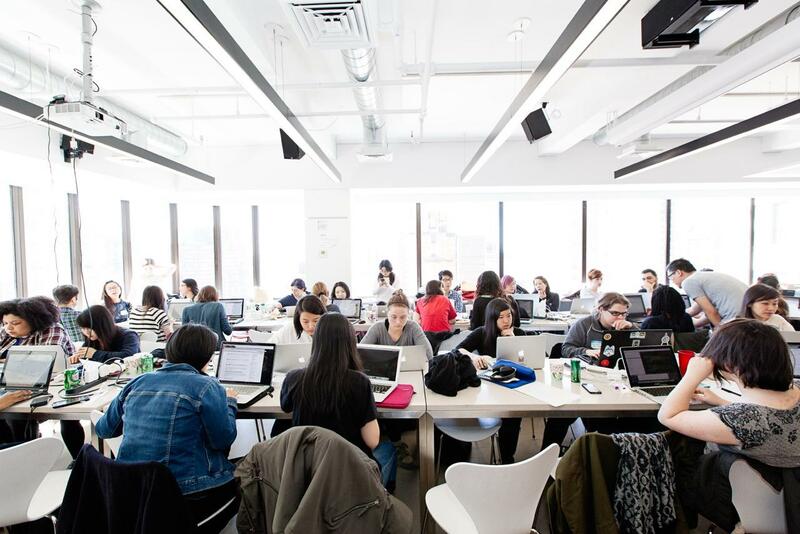 SheHacksHTX is a weekend-long convening of engineers, software developers, designers, data nerds, marketers, visionaries, and anyone else with an interest in starting a business. No! We are looking for all skills - whether it be tech skills, marketing skills, engineering, project management, design, or leadership! There are a million ways to be part of something great! We're not doing anything illegal, if that's what you're thinking! What kinds of projects can I work on? Check out our list of project ideas or pitch your own here! Once the top ideas are chosen, Developers and Designers choose the teams they would like to work with. Optional event to learn valuable skills & meet your team for the first time! You hack, you hustle, you pitch, you learn, you inspire, you collaborate and build incredible companies and meet unforgetable women! Founder, Circular Board, a collaborative accelerator for women & entrepreneur. Mayor of Houston, Texas from 2010 until 2016 & at-large member of Houston City Council. President, Chevron Technology Ventures, Board of Directors for Houston Technology Center. Senior Analyst, Mercury Fund, an early-stage venture capital firm based in Houston. The winning team will be awarded spots in an upcoming cohort of Circular Board, a virtual accelerator for high-growth, scalable women-led businesses. Three Revolving Memberships for 3 months for the new location of Station Houston for the winning team. Winning team will receive a startup spotlight (10 minutes interview on-air) on Breakthrough Radio. Winning team will receive a roadmap session.Take your business goals & objectives -- align them with a high- level communication strategy to reach your ideal customer. Startup Grind Houston will give the winning team free tickets to Startup Grind & the opportunity to pitch at the November Grind. Winning team will receive free legal council for their formation and operating agreement from mentor Paula deWitte! $100 Google Cloud Credits to every participant of SheHacksHTX. Free Trello Gold for 6 months to all participants of SheHacksHTX. All participants can apply & be personally reviewed by LiquidTalent's Community Manager! Digital Director for The Wright Touch and Co-Founder of Stylemuse, Brianna is a former SheHacker with a passion for communications, problem solving, and all things digital. Talk to me about digital marketing and taking a company from a hackathon to reality. 15 years experience in software development. Talk to me about software development process, and life as an early startup employee. Divya works at Vitol Inc. in Houston as a senior business analyst, with prior experience at Goldman Sachs and Calpine on various energy trading and risk management systems. She has a Master's in computer engineering from U of Minnesota, Twin Cities. Talk to me about how risk systems and access to data is increasingly the edge in energy markets. Catalyzes progress as Co-Founder of Station Houston, WIT:Houston & CoHouston, and as a founding member of the Mayor’s Innovation & Technology Advisory Board. Creative Director for TED's TEDActive conference & co-creator TEDxHouston. Talk to me about branding, how to leverage human-centered design thinking for business, product and service development, and how to craft a pitch for potential investors. The founder of January Advisors and Sketch City. He works on data analysis, visualization, policy, and strategy projects. Talk to me about hackathon ideas, working with nonprofits, and what to do with data. Co-founder and MD Station Houston & President of The Indus Entrepreneurs (TiE) Houston Chapter. JR has primarily concentrated on helping launch and grow early-stage tech companies and the financial services industry. Talk to me about sales, go-to-market strategies, and how to get funding for your startup. Principal for Growth Hacking CMO to build an audience for your business. The “Voice” of Breakthrough radio, a global business radio show and the host of Houston’s Startup Grind chapter. Talk to me about how to make sure your message both traditional and digitally resonates with your customer driving sales. Entrepreneur with her first company in 1988 (still in business) with a decade in high tech positions in austin. Ph.D. in Computer Science & law degree with newly passed bar exam for patent law! Talk to me about the best way to form your company and what documents I should have in place as well as how to protect my intellectual property. Principal at Orange River Advisors that helps entrepreneurs build, resource, and lead outstanding organizations. Talk to me about raising capital, choosing partners, and getting the best out of your team, board, & investors. Just Want To Stay In Touch? Form Teams. Get to hacking & hustling! Wrap up! Doors close- feel free to hit up a wifi hotspot in the hood and keep hacking! See you next time #SheHackers! First Light District LLC, a company founded here in Houston that promotes sober pop-up morning dance parties as a form of fun and fitness. They're essentially capitalizing on the physical and mental benefits of nightclub dancing while eliminating the less healthy components such as late nights and alcohol. They have coffee, a live DJ, informal dance instruction and an open dance floor. They also donate 10% or profits to charity at every event. Mindful break! Get up and shake loose with flash dances and open dance floor by First Light District! Breakfast & Mindful wakeup! Get up and stretch with a morning session by First Light District!